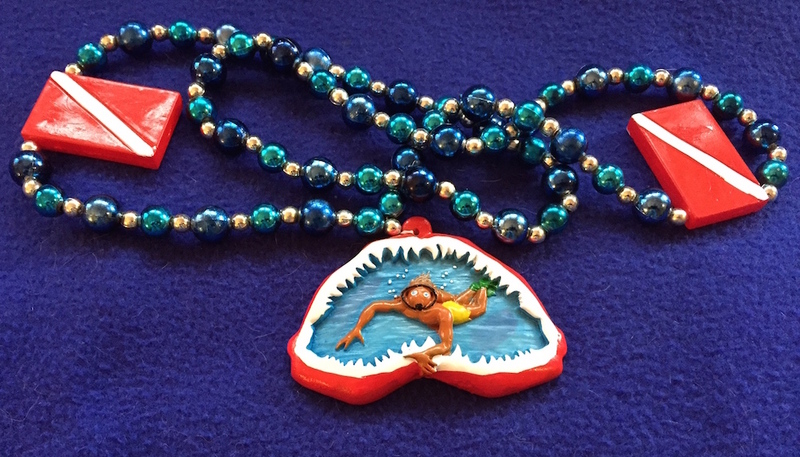 The 2015 Stupid Guest Question Invitational winner will receive the coveted My Teeth Hurt Necklace of Shame as well as free drinks and diving. Eagle Ray Cove resort will host Blacktip Island’s 13th annual Stupid Guest Question Invitational Saturday. Contestants are nominated by Blacktip Island’s dive staffs based on the most cringe-worthy inquiries from scuba diving guests during the past year. Contestants will dress in suitable scuba attire, stand on the stern of a dive boat tied to the Eagle Ray Divers dock, and repeat their question for a dockside audience. The winner will be chosen by audience reaction. The winner will be awarded the My Teeth Hurt Necklace of Shame and have his or her mouth duct taped shut for the remainder of the evening. The prizes have made the contest a guest favorite, with most competitors excited to be chosen. “Hell, I ask my wife stupider questions than that every day,” Passaic said.